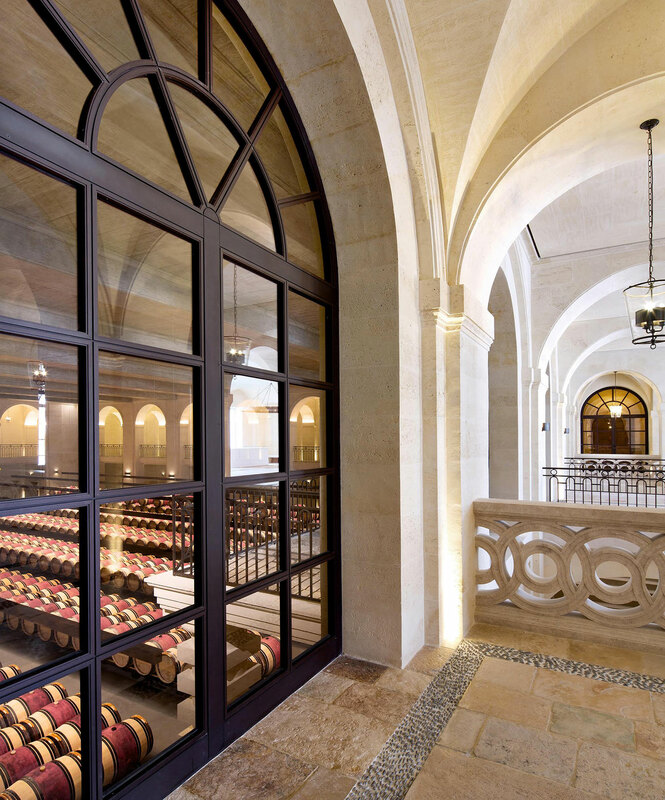 Under Martin Bouygues’ impetus, Château Montrose entered the 21st century with a spectacular rehabilitation project combining construction and renovation, traditional architecture and high-tech facilities. – a harmonious combination of cutting-edge environmental and winemaking technology and architectural beauty. The interior decoration, inspired by the colour of the local stone and with pure lines and mineral floors, was overseen by Mélissa Bouygues, Chairwoman of Château Montrose, with interior decorator Corine Baudron-Servonnat of Studio Iéna. The project was overseen by Bouygues Rénovation Privée, experts in very high-end renovation projects, such as the Ritz and Shangri-La hotels in Paris, and Yves Grémont, an official French heritage architect. It was carried out by Atelier Bernard Mazières, a Bordeaux firm specialising in winery renovation. In accordance with Martin Bouygues’ wish to support the local economy, local firms carried out most of the works. The main barrel hall, where Montrose’s first wine is matured, is the centrepiece of the project, combining cutting-edge technology with traditional 18th century architecture. 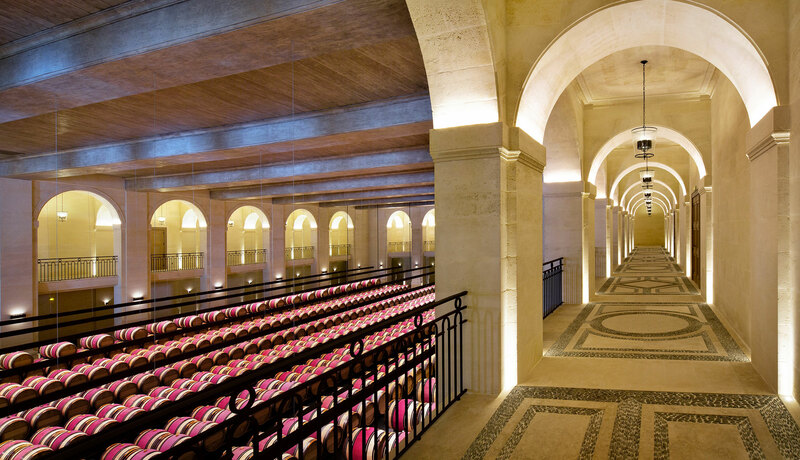 Under an 11-metre-high ceiling, with very precisely controlled humidity and temperature and in an atmosphere of almost monastic silence, the 1,000-m² hall welcomed its first vintage, Château Montrose 2013, in 2014. « An all-embracing vision was needed, a comprehensive project to bring the estate into the 21st century while respecting traditional Bordeaux architecture ».